For decades, cigarette companies helped to promote the impression that there was no scientific consensus concerning the safety of their product. The appearance of controversy, however, was misleading, designed to confuse the public and to protect industry interests. Created scientific controversies emerge when expert communities are in broad agreement but the public perception is one of profound scientific uncertainty and doubt. 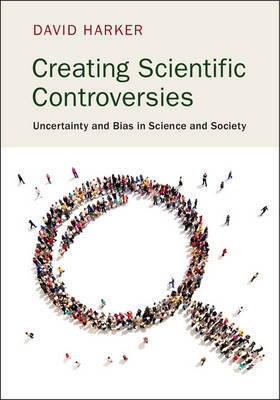 In the first book-length analysis of the concept of a created scientific controversy, David Harker explores issues including climate change, Creation science, the anti-vaccine movement and genetically modified crops. Drawing on work in cognitive psychology, social epistemology, critical thinking and philosophy of science, he shows readers how to better understand, evaluate, and respond to the appearance of scientific controversy. His book will be a valuable resource for students of philosophy of science, environmental and health sciences, and social and natural sciences.